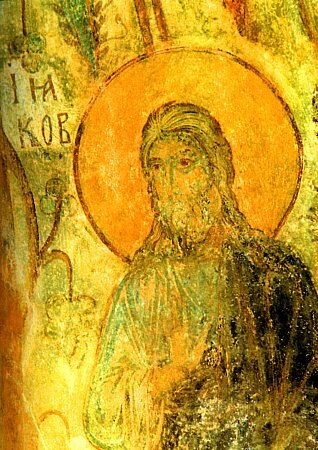 Holy Apostle James, / entreat the merciful God / to grant our souls forgiveness of transgressions. Let us bless James, praising him as the messenger of God, / for he filled the souls of the pious with wise dogmas. / Standing at the throne of glory before the Master, / he rejoices with all the angels unceasingly praying for us all.